Double bulb Type Rubber Seals are available as hollow bulb or solid bulb type. Fluorocarbon (PTFE / Teflon) Film Cladding optional. We provide all types of Dam Gate Rubber Seal Products and our products are best in quality. We are offering a wide range of Double Steam Rubber Seal. Rubber Concept manufactures a wide range of rubber Seals for various Irrigation as well as Hydro power projects. These are designed to either retain water, prevent water penetration, or limit contaminated run off in civil engineering applications. 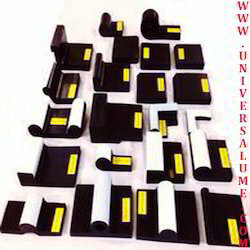 industrial expertise, we are providing music note seal / half music note seal Type Rubber Seal. 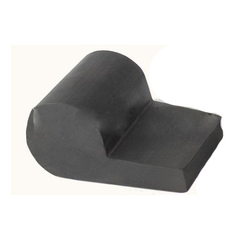 We are manufacturing C Channel Rubber profile for DamGate Seal from highly skilled and experienced team of Rubber Technologist as per customers specification. Features: It is elastic, deforms readily and regains its original shape on removal of load. EPDM rubber or silicon rubber made Dam Gate Seal is used as one of the key parts of hydro power works and irrigation projects for blocking entrance of water. Available in Microns 50 to 500 microns.